Drive foot traffic from booth to booth, and educate each contestant about exhibitor products, using attendees mobile phones. Exhibitor Education - When attendees successfully complete a booth visit and correctly answer a sponsor question, Mobile Booth Trivia, sends them their next passport booth number and question. Guests that visit all sponsor booths and correctly answer the trivia questions will be entered into a random prize drawing. Social Amplification - During the event, bonus questions are “pushed” to participating event guests, adding a new dynamic promotion and new sales opportunity. 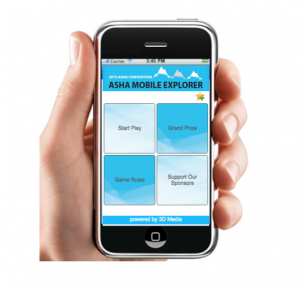 Pre Event Promotion - Promoting the contest is as easy as sending an outbound message, that includes a direct link to play. No cumbersome playing card, no app store down loading. Mobile Booth Trivia is a mobile web platform, making it easy for every attendee to participate and greatly outperforming other paper passports.